What a day of Dota 2. Suffice to say that this was the most important day, outside the final, for the Dota 2 International. Both Team Secret and EHOME (hopeful winners) found themselves in the lower-bracket, and would now have to fight their way out. The two teams were joined by Virtus.Pro, Vici Gaming, MVP Phoenix and LGD Gaming. Of course the biggest game of the day was Team Secret vs. Virtus.Pro, and it really was an emotional rollercoaster for all fans of the game. Tensions were running high as it was do or die time for most teams, and being in this position meant even the smallest mistake, like not banning Storm Spirit two games in a row, could cost you your shot at that coveted fist place finish. Vici Gaming were the runner ups of The International 2014, so the pressure was on to see if the Chinese team could do what most others had already failed at and progress through the trenches. MVP Phoenix, on the other hand, had already impressed fans as they came from the Wild Card play-ins and made it through to a secured eighth place finish. Eighth place was not an option here, as they gave it all they had. Game one was interesting as Vici Gaming put faith in the famous Hao Morphling. Morphling has always had a special place in TI history, being one of the most picked heroes in the first ever International, and always appearing when he needed to and getting the job done. The strength in Vici’s draft proved itself as MVP Phoenix lost countless engagements and could not match up. The final score was 34-20, with Vici Gaming grabbing an early 1-0 lead. As we’ve mentioned time and time again, Team Secret entered The International as the top rated team in the world. It was a shock when they were knocked down to the lower bracket, but if there was one team who could grind it out, it was Team Secret. Virtus.Pro were a team to be rivaled with as they proved in this best of three series. Game one went almost as planned, noting the odds were heavily in Team Secret’s favour 82% to 18%, and then secured a quick victory. Once again the Lina solo mid, played by ex-Alliance player s4, secured an early lead in dominating the solo mid role. Team Secret secured a convincing first game win with a score of 24-11. As mentioned above, it was now up to Virtus.Pro to right their wrongs, and it was one hero in particular that stood out above the rest. Rather fittingly nicknamed God, on his Storm Spirit, proved to be a bit too much to handle for Team Secret, and s4’s dominance in the solo mid was thwarted. Having the initiating power that Storm Spirit does, Virtus.Pro seemed in control for the most part. The draft composition seemed to be almost perfect – initiate with Storm Spirit, Silence with Silencer and slam dunk with Earthshaker. Virtus.Pro took game two with a 35-21 finish. What was needed was simple. Ban Storm Spirit, regain control of mid and let s4 do his thing. Team Secret, perhaps being a bit too confident, thought this unnecessary and allowed God a second run at the Storm Spirit. The Storm Spirit vs. Queen of Pain is always an interesting match up, noting both players are more than efficient. Unfortunately for Team Secret, the composition once again allowed Virtus.Pro to quickly pull ahead, this time with notable play from DkPhobos on his Earthshaker, and of course assisted by the hard hitting power of the Drow Ranger. Virtus.Pro knocked out the favourites and earn their place in the next round of the Lower Bracket. 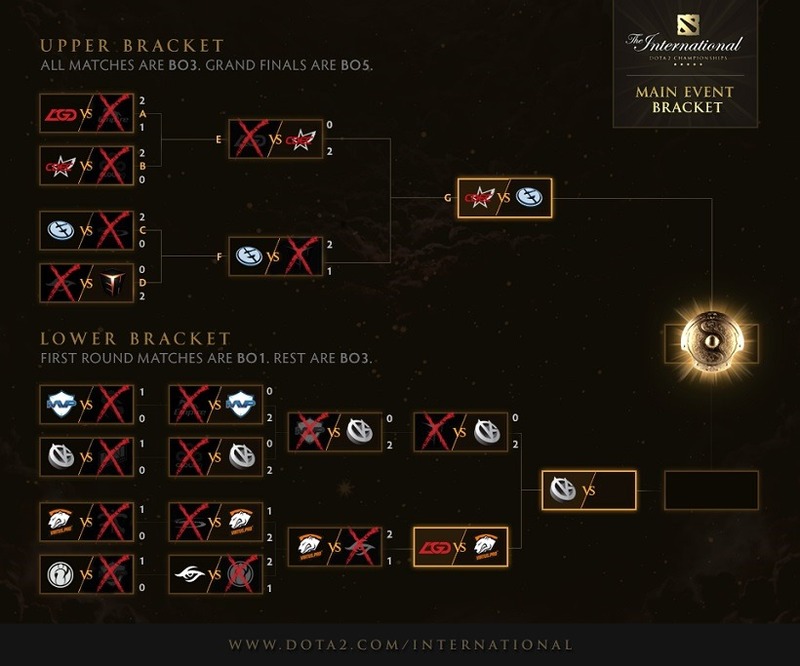 One of the big upsets of Day 3 was the knocking out of EHOME from the Winner Bracket. Vici Gaming, used to playing through the trenches by now, were warmed up and ready to fight. Vici Gaming were hot off their 2-0 victory over MVP Phoenix, and were going to spare no momentum for what came next. EHOME were perhaps one of the three teams in the running for taking the title, alongside LGD Gaming and Team Secret, but they had to get through Vici Gaming first. My prediction was 2-1 to EHOME, but I was so wrong. Game one got a pretty quick start as the two teams immediately started trading kills. Although it seemed like fairly equal trades, out of nowhere amidst all the action Vici Gaming began to pull ahead. The Zeus pickup was an interesting one, and in the hands of ICEICEICE was pretty dangerous. The star of this game was the support Earthshaker, played by Fenrir, managing to die only 3 times while offering 23 assists. Fenrir is by far one of the best support players in the world. Vici Gaming took game one with a rather convincing 29-19 finish. Game two was one of the most intense games in the International so far. The game was incredibly close, with the two opposing solo middle players, Super (Vici) and Cty (EHOME) having an all out brawl throughout the game. The famed Storm Spirit vs. Queen of Pain was done right this time, but it was the powerhouse Hao on his Antimage who stepped it up and did what he does best – kill stuff. Vici Gaming secured the tight finish 38-33 and sent another hopeful champion home. 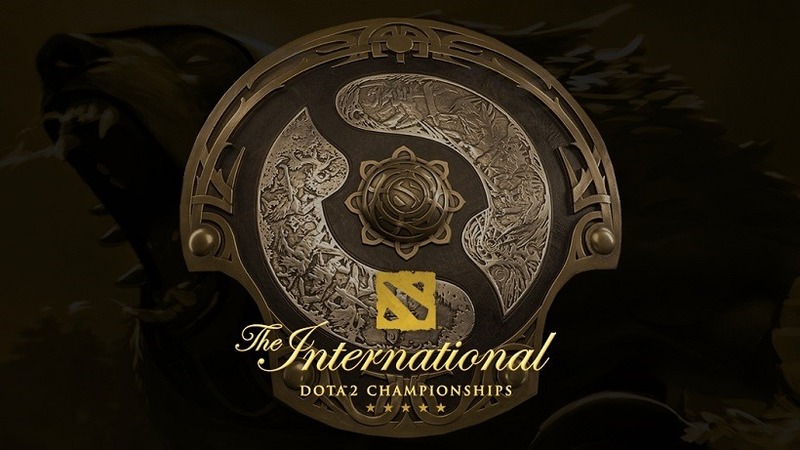 We have just two days left of The International, and I have my money riding on EG, but they first have to defeat CDEC tonight.